The Plastic Pony Parade in the Poconos is back again for another year, bigger and better! This year the show name isn't such a mouthful, plus it's no longer plastics only. Save the date - May 2nd, 2015 in Palmerton, Pennsylvania! This show benefits Our Mims Retirement Haven! We are looking for donations for the raffle, all proceeds will go to The Haven! If you have something you would like to donate please PM me here or email me at geohorse@ptd.net . Our Mims Retirement Haven is donating a Sugar and Spice resin for the raffle, so don't miss your chance to win! The show is NAN-qualified and I have applied for Breyer's Live Show Benefit Program. All entry forms must be postmarked by April 18th! We hope to be able to come to this one again. It was a lot of fun. Definitely something to look forward to in the spring! Just a quick update on Pocono Ponies Live, we're now approved for Breyer's Live Show Benefit Program! 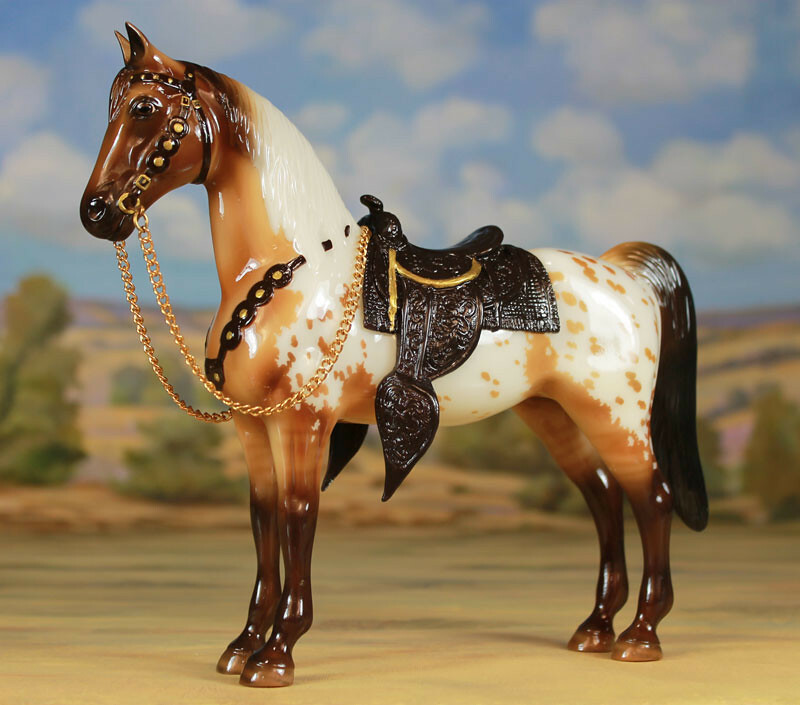 Each paid entry for the show will include one raffle ticket for a chance to win Razzmatazz, a beautiful dun appaloosa on the Western Pony mold! Please note that extra tickets may not be purchased for this model, to keep it fair for everyone. However, we will have a standard raffle where you're welcome to buy as many raffle tickets as you wish. Also, we are already halfway sold out, so send in your registration form to reserve a spot!